It’s probably best to get this out of the way at the start: as an unapologetic Thomas Pynchon fanboy, the prospect of the first proper cinematic take on America’s most outgoing author is a very big deal for me. As such, this review is unavoidably going to be as much an appraisal of Paul Thomas Anderson’s Inherent Vice as a Pynchon adaptation as it is a study of the film itself. I don’t really have much interest in detailing every alteration to the source, but I’ll be moving back and forth between book and film where relevant; in what is in many ways a very faithful translation of the material, the departures matter even more, and they take the film away from straight reproduction and towards being something more like a companion piece. It’s important to make clear that the film absolutely stands on its own as an exceptional piece of cinema – it’s very funny, deeply mournful, and the perfect conclusion to a loose trilogy that includes PTA’s twin masterpieces There Will Be Blood and The Master – but it’s also a work that offers new insights when placed next to the novel it’s based on. This ‘trilogy’ forms part of a distinct aesthetic phase for Anderson, something far stranger and more oblique than Magnolia and Boogie Nights, and there’s a lot of conceptual common ground with Pynchon in this three-film study of America over half a century. It’s appropriately baffling that Anderson and Pynchon’s shared obsessions, at least as they manifest inInherent Vice – anachronism, the play of word and image, an unexpectedly deep interest in relationships beneath the absurdity – are possibly best illustrated not by what stays the same in the adaptation process, but by what changes. Of course, Pynchon has been having a one-sided dialogue with the movies since the beginning of his career – it’s only taken fifty years or so to finally get a straight answer. (Special mention to the terminally-underrated Adventures of Buckaroo Banzai Across the Eighth Dimension for namechecking the Yoyodyne Corporation from The Crying of Lot 49, as well as more generally channelling a strain of paranoiac slapstick and the push-pull between earnestness and irony familiar to the early novels; otherwise, we’re talking about slim pickings.) Pick up any of Pynchon’s books and film references tumble off every page, from obscure German Expressionists in Gravity’s Rainbow to Return of the Jedi in Vineland, but on a deeper level, the influence of cinema’s visual language pervades every aspect of the man’s body of work. And it goes way beyond style, providing rich thematic fuel for an author better attuned than most to the artificial realities we live in – I’m reminded of Lot 49‘s Mr. Thoth in the retirement home, his dreams, memories and viewing habits all mixed into one, and I’m struggling to think of anyone who’s cooked up a better allegory for what our silly pastime of sitting in a dark room watching pictures does for us. For good or for ill. When you look at it this way, Inherent Vice is an ideal choice to be the first film adaptation of Pynchon’s work, and not just because it’s the most ‘accessible’ or (relatively) straightforward thing he’s written. On one hand, it’s probably the most grounded in the author’s personal experience along with Vineland (not coincidentally the other Pynchon novel Anderson has attempted to write a screenplay from) – sure, it has all the funny character names and musical numbers you’ll find in Lot 49 or V., but it draws on the affective memory of a lived time and place that gives it a different kind of tangibility to the freakout fever dreams he actually wrote back in those days. On the other hand, through a combination of technology that emerged at the time and the ongoing influence of the people who were, like, totally there man, no period of the twentieth century has dominated our cultural discussion more than the 1960s. And it’s the film footage that really lingers as the signifiers of the time, for those of us who weren’t there but still won’t hear the end of it: the Zapruder film, A Hard Day’s Night, the moon landing. In its own way, the cultural supremacy of the baby boomer really is one of the best illustrations we have of the power of moving images in shaping consciousness. Call it doper’s memory if you like, but Inherent Vice as a novel can’t help but mix up its reminiscences with film noir, blaxploitation, ‘Gilligan’s Island’ (‘with the millionaire and his wife and the movie star’…). Paul Thomas Anderson is someone who I suspect understands this very well, given that the critical notices he’s been getting since the beginning of his career have often seemed determined to pull him back to the 60s/70s heyday of New Hollywood. The likes of Kubrick, Scorsese and Altman are clear influences on his early work, and one of the most exciting things about the current phase of Anderson’s career has been how he’s renegotiated his relationship to these pillars of American cinema. (He can’t quite reject them, though – I know it’s way too obvious to cite Altman’s 1973 masterpieceThe Long Goodbye as a precursor for Inherent Vice’s tone, but I have to mention it anyway.) For Anderson, like all of us at a place removed from the period, the sixties and seventies are understood through the movies and the music: artefacts that retain a certain affective memory for the time that produced them, even though they’re ultimately unreliable. This film may look like a ‘love letter’ or a ‘tribute’ to the filmmaking of the era on the surface, but there’s a healthy scepticism underneath. 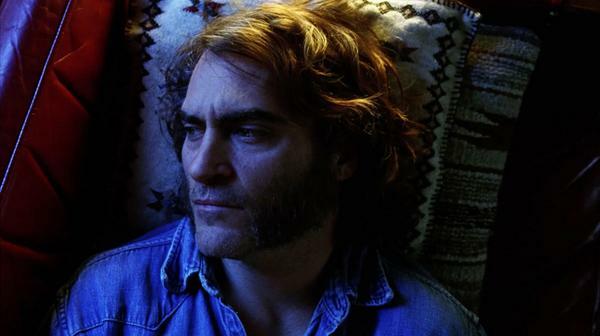 The critical difference between Inherent Vice and his other seventies period piece Boogie Nights, a difference that neatly illustrates the scope of the director’s creative development over the last two decades, is that the former has a far more intuitive grasp for how unstable the cultural signifiers of the time really are. Where Boogie Nightsreproduces the period details faithfully, Inherent Vice puts them just enough out of place to produce something uncanny. One of the best examples of this is found in the film’s exceptional soundtrack, one of the ways the film departs from the book while accurately honouring its spirit anyway. Unlike Pynchon’s scrupulously-researched (not to mention extensive) catalogue of historically accurate songs throughout the novel, the song selections from Anderson and Jonny Greenwood are looser and more associative. It’s the right decision: all the most memorable musical cues are anachronisms for the film’s 1970 setting, from ‘Vitamin C’ (1972) over the opening credits to a deeply moving use of Neil Young’s ‘Journey Thru The Past’ (1973) during a rain-soaked flashback sequence. One or two songs might be careless, but almost an entire soundtrack of historically inaccurate numbers – not to mention Greenwood’s score, which is somehow coherent despite incorporating golden age Hollywood strings and electronic flourishes – would instead suggest something more deliberate at play, particularly when music is such an intrinsic part of the film’s world. The effect is twofold: the songs recreate a feeling for the past moment, more resonant than the basic dates and details, but then they remind us how illusory and vulnerable to distortion that feeling can also be. Nowhere is this more deeply felt than the aforementioned ‘journey through the past’, the memory of a moment shared by Doc Sportello and Shasta Fay Hepworth towards the end of their relationship, and probably the most intensely ‘cinematic’ moment of a largely dialogue-driven film. The emotion of the scene temporarily overrides the historical context, but it can’t escape it – it’s a tender moment that’s burdened by our knowledge of what comes next. ‘What comes next’ in this case is as much the disintegration of sixties countercultural idealism as it is the disintegration of Doc and Shasta’s relationship; the empty construction lot that they come to in search of a weed score has been filled with the headquarters of The Golden Fang, the spectre of the seventies with all the heroin, paranoia and broken promises that it entails. A lot of Anderson’s alterations to the book’s final third are geared towards more explicitly drawing out this parallel, between the messiness of human relationships and the historical moment at which the turbulence of modern life overwhelmed a simpler worldview built on things like love and community (people being together is a telltale sign of ‘possible cult activity’ in this post-Manson landscape). The final scene of the film offers a good example of how these alterations work – whereas the novel’s final sequence sees Doc alone on the freeway in the fog, finding a kind of communion with the drivers surrounding him, the film puts Shasta in the car with him. It has the flavour of an old-school noir closing shot, our hero and the love interest driving towards an uncertain future, and it reinforces the ambivalence in Pynchon’s original allegory by accentuating the personal emotional stakes for Doc and Shasta. ‘We’re not together’, she tells him, but for the time being, they’re on the same trip at least. The other major relationship in Doc’s life is the one he has with Bigfoot Bjornsen, hippy-hating LAPD detective and Doc’s ideological rival, and their rivalry is clearly defined for the majority of the film’s running time. A lot of the film’s funniest moments are wrung out of this rivalry, whether it’s over the phone (‘go to bed.’ / ‘but I’m working!’) or face to face (pancakes). There’s obviously a degree of respect or begrudging affection between the two, but they clearly exist on different sides of the prevailing culture clash of the time… at least until Bigfoot shows up at Doc’s house at the end of the film, breaks his door down and eats his entire stash. (This doesn’t happen in the book, where the last we see of Bigfoot is him taking off after the Golden Fang to find out who killed his partner.) The Doc/Bigfoot axis starts out as a lighter take onThere Will Be Blood‘s central pairing of Daniel Plainview and Eli Sunday, two symbols of opposite but equal forces in a formative period of modern American history, but this strange and oddly moving final sequence places their relationship as something closer to that of Freddie and Lancaster in The Master – two men who can never resolve how much they need and understand each other, despite the unbridgeable gap between them. Doc may feel like he ‘gets’ Bigfoot in a way he didn’t before in this moment, but the closer he looks, the more complex the pattern becomes. It works because of two outstanding performances from Joaquin Phoenix and Josh Brolin (and I’ve never been a fan of the latter), as they perfectly nail the point between silliness and sadness that Anderson’s looking for. That kind of uncertainty principle in Doc’s relationships – the closer you get to understanding something, the more complex it becomes – plays out nicely in the film’s overarching plot structure, which is why the film’s hazy plot matters in genuine human terms. The basic plot isn’t actually difficult to follow for much of the running time, as the viewer makes intuitive connections between the disappearance of industrialist Mickey Wolfmann and the case of the not-actually-dead sax player Coy Harlingen, but it’s in the final straight that the film really spaces out. The point at which the plot traditionally starts to be resolved is instead the point at which it ends up going in the other direction: we’ve only seen a surface level glimpse of the Golden Fang, and the late appearance of lawyer Crocker Fenway suggests at incomprehensible depths. They’ve infiltrated the atomic family, as seen in the station wagon driving crew at the heroin handover. They can supply American Express cards, and they can casually return Coy to his old life with seemingly little effort. Most insidiously, they’ve worked their way into the counterculture that should be the alternative to what the Golden Fang represents; ‘people like you lose all claim to respect the first time they pay anybody rent’, Crocker tells Doc. All these notions of infinite complexity under the surface of our everyday world is good conspiracy fuel of course (a quintessential aspect of the Pynchon experience), but they have real world resonance when it’s all borne out by the characters’ relationships with each other, and with the time and place they find themselves in. That’s possibly Anderson’s greatest achievement in Inherent Vice – to work with the building blocks of genre and cinematic convention in order to build a nuanced and humane study of a time that we can only grasp through moving pictures, without letting it off the hook or idealising it. In many ways, it’s a story about how we experience and perceive change, a recurring theme across Anderson’s accidental trilogy; when considering the links between the three films, he’s spoken about Pynchon’s ‘compassion and concern for the American fate’. That’s what comes through again and again in this film. When Coy is reunited with his family at the film’s end, we see a genuine empathy and warmth that other filmmakers would have struggled to keep above the craziness. The perceived challenge with adapting Pynchon has always been in relation to the more out-there scenarios his characters find themselves in, but the singular tone has been just as difficult to replicate – until now. 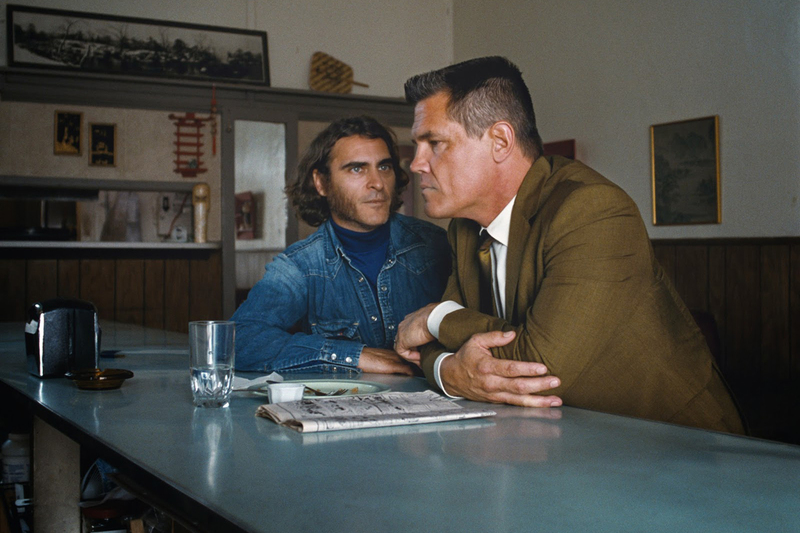 Inherent Vice isn’t PTA’s best film – that’s still The Master – but as a suitably irreverent tribute to an icon of American literature, as well as further confirmation of Anderson’s status as the bravest major filmmaker in America today, it’s a triumph.